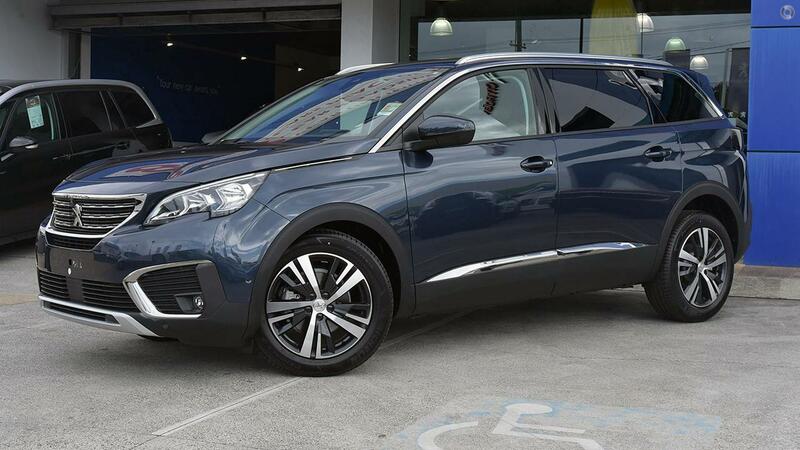 2018 Gust Blue (7 seat) Peugeot Allure 5008 inc electric tailgate & grip control. 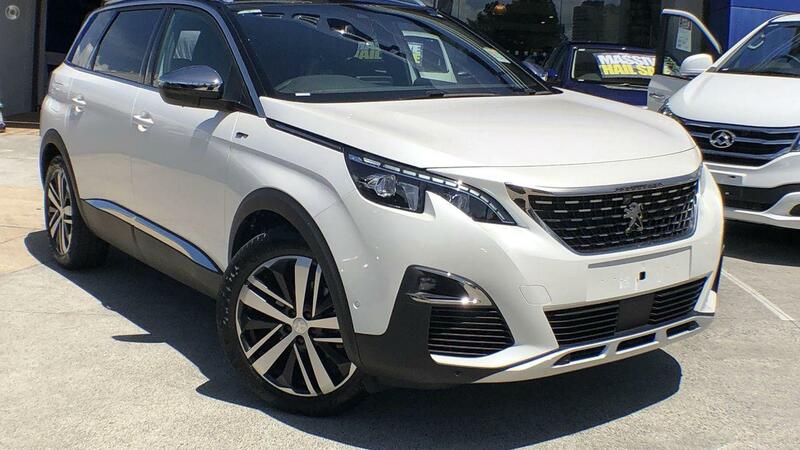 5 year factory warranty with unlimited KM's and roadside assist. Price includes all fees and charges with 12 months registration. Available for immediate dleivery. 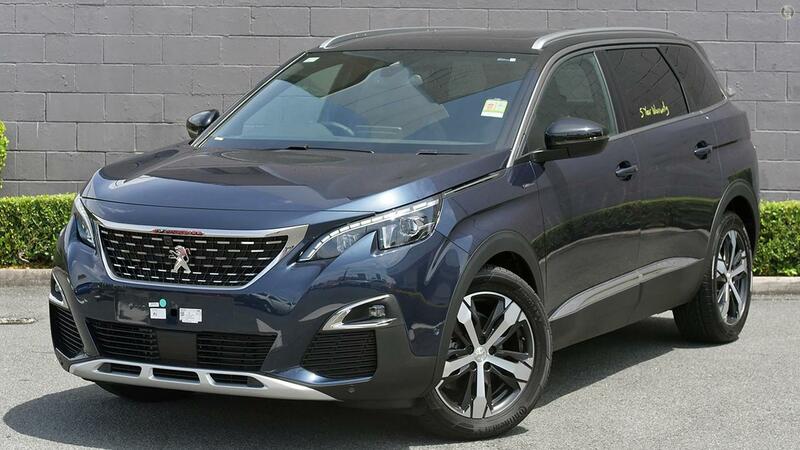 Featuring class-leading levels of advanced driver assistance systems, the Peugeot 5008 SUV benefits from a host of systems designed to assist the driver on the open road. These systems include Active Blind Spot Detection which alerts the driver to an obstacle via an LED in the mirrors as well as applying a trajectory correction to the steering should the driver not notice an obstacle. 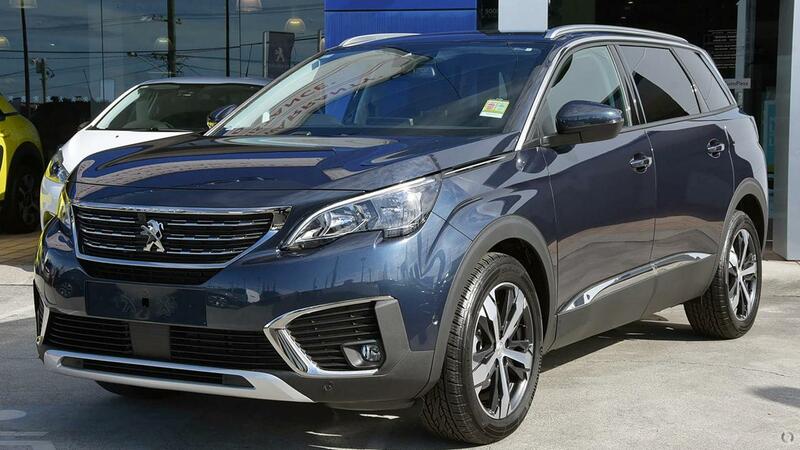 Other driver assistance systems include Active Safey Brake including pedestrian detection, Active Lane Keeping Assistance, Advanced Driver Attention Alert, speed limit sign recognition and recommendation and Peugeot Smartbeam Assistance. For a more relaxed drive, enjoy the benefits of the Adaptive Cruise Control with stop function. This system regulates the vehicles speed as well as maintaining a set distance between the car in front, requiring fewer driver inputs. 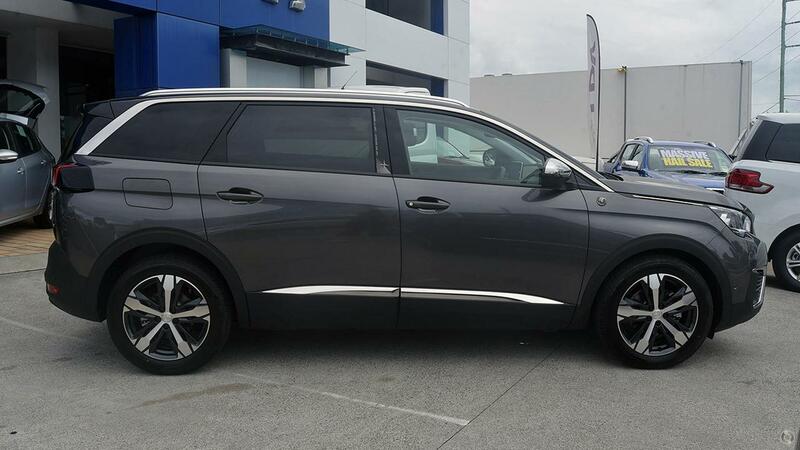 The system automatically uses both the brakes and engine braking to regulate the distance behind the car in front, bringing the car to a complete stop if necessary. Estimated monthly payments are indicative only and do not constitute an offer for finance. This calculator does not take into account additional fees and charges, which may apply. Different interest rate, loan term, deposit and balloon requirements may apply for particular vehicles and/or finance offers. Use of this calculator does not imply that a particular interest rate, loan term, deposit or balloon amount is available. Finance is available to approved and all finance applications are subject to credit approval. Conditions apply to all applications.